Written on Dec. 29, 2016. Last update on Dec. 29, 2016. Luxury carmaker Aston Martin has announced its first-ever real estate project: a 66-story residential tower in Miami. Written on Dec. 28, 2016. The city of Miami Beach wants to know if you plan to rent your condo on Airbnb and other short-term rental platforms. Last update on Dec. 28, 2016. Manufacturer Siemens uses the term "trainset" to describe five passenger trains it is building for the new All Aboard Florida service, scheduled to kick off next year between Miami and West Palm Beach. Written on Dec. 3, 2016 in Miami and Miami Beach Real Estate News. Last update on Dec. 3, 2016. 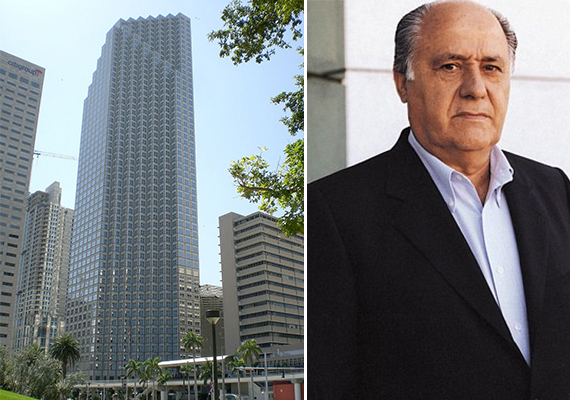 Buying a whole block on Miami Beach’s Lincoln Road simply wasn’t enough for Spanish billionaire Amancio Ortega.